You need online learning programs that engage learners at scale and actually move the needle for your business. 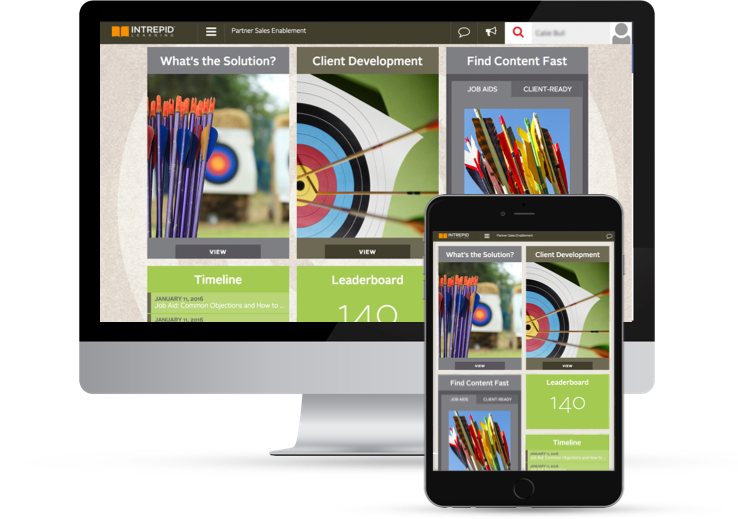 The solution: Corporate training with Intrepid Learn's technology and our team's experience. Generic off-the-shelf learning only goes so far. You need company context and content specifically relevant to your organization's challenges in order to meet your business goals in time. Business disruption is moving too fast for digital learning to be anything other than ruthlessly relevant to the job and quick to launch. Check out our awards, case studies, and more in our Learning Library.